Computers are in use in every field and with the advent of the personal computers and laptops they have become one of the gadgets that are running our life. Getting output as a printed copy from the computer is an essential necessity, and for this we use computer printers. Though, we have many types of these computer peripherals using different technologies, these had a humble beginning with the mechanical printer of Charles Babbage as an accompaniment to his Differential Engine in the 19th century. From then on, the Computer printers were evolving with the computers itself till the present days in which they have become symbols of modern technology giving a very high quality printing, at very affordable costs. Earlier designs of computer printers were adoptions of the good old typewriter and the tele-writers. 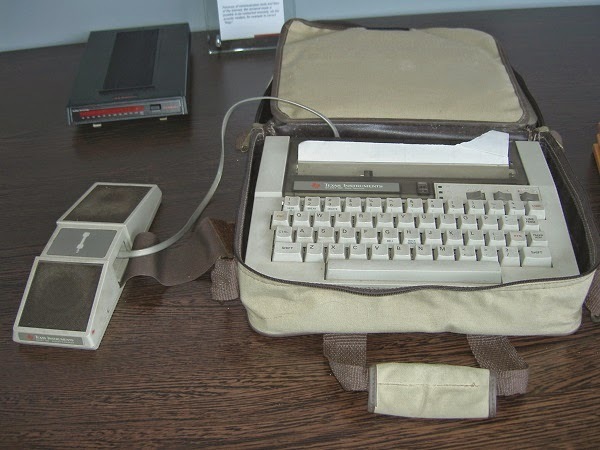 The impact printing technology used in them are found in the earlier computer printers during the late 1970s and early 1980s by making suitable modifications, so that they can be used along with the personal and other computer systems. Their slow speed of printing, low quality of printing and their high cost became the factors for further research and other types of computer printers with different technologies began appearing in the market during the later part of 1980s. The dot- matrix printers were the first ones to appear in the market and these were used everywhere during the early days of the modern day personal computer age. They became very common both in homes and offices churning out vast amounts of printed data at very high speeds with very low printing costs. But the main disadvantage is the poor quality of the print- outs and though these machines had the capability to print text and graphics and the mix of the two also, these were felt inadequate to the demands of the emerging personal computer trends. The arrival of the Laser printers and Inkjet printers changed the computer scenario completely. Hewlett Packard started introducing the LaserJet series of Laser printers in the year 1984 and the HP LaserJet became instant hit in the market and these were followed by the Apple Laser Writers with Postscript for the users of the Mac computers. This made the desktop publishing possible and the multi colour printing capabilities of these printers began changing the entire commercial printing world and even superseded the high end offset printing set- ups and provided an economical way of doing pre processing for printing industry. With their fast falling prices these Laser Jets were able to enter into even many of the homes and became a standard addition to the home computer systems during the 1990s. The introduction of Inkjet printers during this period gave an economical alternative to the Laser Jet technology and this made these low cost printers find their place in many of the homes as standard addition to the personal computers. But, the importance of the computer printers began to wane due to the emergence of the other ways of creation, storage and manipulation of computer data like higher volume hard disks, flash memories with higher capacities and the other data transmission facilities available on the internet like email and cloud storage online. Still, there are fields like transaction printing and other areas like receipts issue for purchases at points of sale. In these fields, there is a constant requirement for printing receipts and for this the dot matrix printers are in use. Along with this a new technology of thermal printing is occupying a major place in this industry. 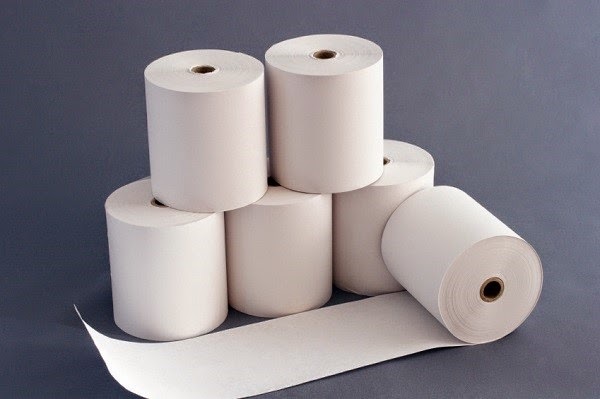 Thermal receipt rolls are much more cost effective and easier to maintain than the plain paper dot matrix receipt printers. In the present times, we have different types of EFTPOS terminals which are used for electronic transfer of funds at Point of sales terminals and these use special types of paper which are chemically treated and the printing is done by selectively heating the areas that correspond to the printing area. The heated areas on the paper turn black and thus printing the data to the paper. The modern thermal printing technology uses a digital printing process by printing on a heat sensitive thermochromic paper, which is heated to create the images using a special type of thermal print head. A further enhancement is the ability of these thermal printers in two colours by changing the temperatures for each colour while printing. Yet another type of thermal printers are called as the thermal transfer printers and these printers use a different method to print as they use a heat- sensitive ribbon in the place of heat sensitive paper to print images onto the paper. Due to this, the printed matters can be obtained on ordinary paper and the impressions last longer than those done with the ordinary thermal printers. 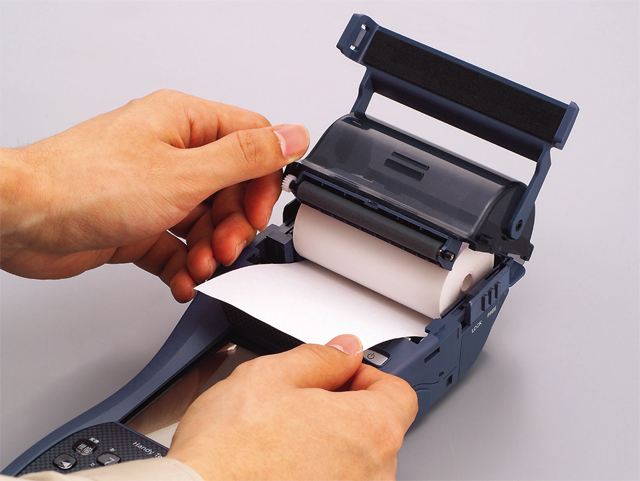 A thermal printer has a thermal head to generate heat for making the printing on the paper, and a rubber roller called as the Platen is used for feeding the eftpos paper rolls to the printer. The springs provided in the thermal printer apply the required pressure and make the thermal paper come into contact with the thermal head while printing. The entire printing process and the handling of the print data are handled by the controller mechanisms. During printing the thermo sensitive paper is fed in between the platen and the thermal print head. When the print command is received by the printer it generates an electric current in the heating element s of the thermal head and heat is produced to activate the thermo sensitive colouring layer of the thermal paper and the colour is changed in the areas of the paper to which the heat is applied. These thermal printers resemble more to dot matrix printers in as much as these also have heat-printing elements is arranged in the forms of matrix and they print the characters as continuous flow of dots. This type of thermal printers is mostly used in the EFTPOS terminals where the debit cards and credit cards are swiped for electronic transfer of funds at the point of sale terminals. The thermal printers are incorporated in these compact and highly portable terminals due to their compactness, robustness and ability to print receipts using very little power. In the present days, we have many types of these EFTPOS terminals that work on mobile technologies also.